The Fifth Annual Sedona Winter Music Festival will showcase some of the world’s most talented musicians in a celebration of chamber music and the performing arts. After nearly a week of special events, including a gala held at a private home and masterclasses for students, the festival will culminate with a concert at the Sedona Performing Arts Center. The 2018 festival will feature clarinetist Alexander Fiterstein, cellist Nicholas Canellakis, violinist Arnaud Sussmann and pianist Adam Golka. Mr. Fiterstein is a recipient of the coveted Avery Fisher Career Grant and has performed with leading orchestras and chamber groups worldwide. A graduate of The Juilliard School and clarinet professor at the University of Minnesota, he has made numerous recordings, including his recent debut concerto album for Bridge Records. Violinist Arnaud Sussmann is also a recipient of the Avery Fisher Career Grant and is known for delivering hypnotic performances that evoke the sounds of vintage recordings. Since winning first prize at the 2nd China Shanghai International Piano Competition when he was only 16, Mr. Golka has performed in various roles — including chamber musician, recitalist and soloist alongside orchestras — at prestigious venues around the world. He serves as Artist-in-Residence at the College of the Holy Cross and made his Carnegie Hall debut in 2010. Chamber Music Sedona and the Sedona International Film Festival will join hands Wednesday, Jan. 10 for a 4 pm encore screening of “The Music of Strangers” featuring The Silk Road Ensemble. This wonderful film played to sold-out audiences at the Mary D. Fisher Theatre last year and is making a return by popular demand in celebration of the Winter Music Festival presented by Chamber Music Sedona. “The Music of Strangers” will be shown at the Mary D. Fisher Theatre Wednesday, Jan. 10 at 4 pm Tickets are $12, or $9 for Film Festival or Chamber Music Sedona members. For tickets and more information, please call 928-282-1177. Both the theatre and film festival office are located at 2030 W. Hwy. 89A, in West Sedona. 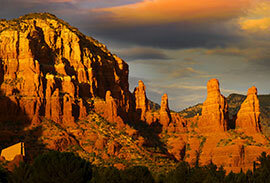 For more information, visit: www.SedonaFilmFestival.org.